HomeASEANWhat can emerging countries learn from Vietnam’s satellite hospital program? What can emerging countries learn from Vietnam’s satellite hospital program? 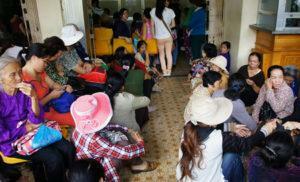 Until 2013, Vietnam’s state-owned hospitals were running at ~140-170% capacity. In order to reduce overcrowding and improve overall healthcare infrastructure, Vietnam introduced the satellite hospital model in 2013. As of date, the model has helped network 22 nucleus hospitals with 98 satellite hospitals across 63 provinces in the country. These satellite hospitals focus mainly on five key care areas – cardiovascular, surgery, cancer, obstetrics and paediatrics. Improved healthcare access: In the larger cities where healthcare access was impeded by heavy patient footfall in tertiary care hospitals, significant improvement has been observed. Over the past two years, 14 new satellite hospitals were built in Hanoi and HCM while facilitating top medical staff to be sent to these sites. As of 2017, 21 of 28 district general hospitals in north Vietnam have been linked to large city hospitals in Hanoi. Battling cardiovascular diseases: Vietnam presents a significant burden of non-communicable diseases (NCDs). Seven out of every ten deaths are caused by cardiovascular diseases, diabetes, cancer and chronic pulmonary diseases. Also, as evident from the specialisation focus of satellite hospitals, CVD is the leading cause of death in Vietnam (33% in 2014). As per World Heart Federation estimates, up to 20% of the nation’s population will suffer from CVD and hypertension by 2017. However, ever since the implementation of the satellite model, many provincial and district hospitals have been equipped to perform complex cardiac surgeries. This has resulted in a 98.5% reduction in referral rates at central and specialist hospitals for heart-related patients. In 2015, Lam Dong General hospital (satellite hospital) in Da Lat city of Central Highlands region inaugurated its first cardiovascular intervention unit in the region with the aim of reducing mortality rates due to myocardial infarctions. Improving cancer care: With 1,20,000 fresh cases of cancer being reported each year, cancer also represents a significant and growing burden in Vietnam. Currently, access to cancer care facility is limited to National Cancer Hospital (also called K Hospital) despite expansion through satellite hospital model. However, given the country’s continued focus on establishing at least one satellite hospital in each district, Vietnam is expected to achieve the desired goal through the satellite model. To achieve this, Vietnam may potentially look to partner with suppliers of quality medical equipment who could also fulfil its training requirements. Neighbouring countries such as Thailand and Malaysia are currently experiencing an average of 85-90% bed occupancy rate in their public hospitals. The overcrowding is largely attributed to shortage of doctors and beds. These countries could potentially draw inspiration from Vietnam’s satellite hospital model to overcome challenges around adequate health access to patients dependent on public sector hospitals.